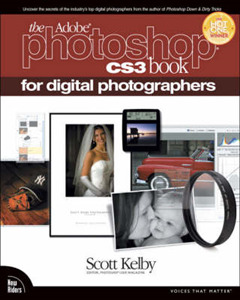 Scott Kelby was honored with Professional Photographer magazine's highly coveted 2008 Hot One Award for The Adobe Photoshop CS3 Book for Digital Photographers. Here's what Jeff Kent, the Hot One Editor at Professional Photographer, has to say about the book: "In a how-to published by Peachpit Press, Scott Kelby, best-selling author on Adobe Photoshop, delves into CS3 to uncover the most important and useful techniques for digital photographers. Our judges liked Kelby's direct approach with step-by-step instructions. In this new edition, Kelby shares even more secrets from the top pros. 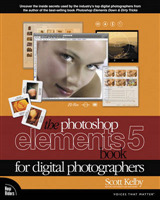 "Shutterbug magazine chose The Adobe Photoshop CS3 Book for Digital Photographers as a Top Digital Book of 2007. Here's what Joe Farace of Shutterbug has to say about the book: "Scott Kelby's name on a Photoshop book is like the Dodge brand on the front of a pickup truck. You know it's built RAM-or pixel-tough. Combining his famous twisted wit with unwaveringly straight tutorials, Kelby takes you through a detailed tour of Photoshop CS3 by showing how to use the new features. No fluff; just page after page of well-illustrated tutorials showing photographers how to get the most out of the new features, commands, and effects found in the latest version of Adobe's flagship. It will get you up to speed on CS3's new features faster than you can all by yourself. 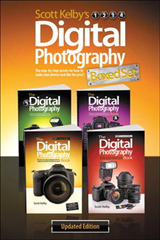 "Scott Kelby, the #1 best-selling Photoshop author in the world today, once again takes this book to a whole new level as he uncovers the latest, most important, and most exciting new Adobe Photoshop CS3 techniques for digital photographers. This major update to his award-winning, record-breaking book does something for digital photographers that's never been done before-it cuts through the bull and shows you exactly "how to do it." It's not a bunch of theory; it doesn't challenge you to come up with your own settings or figure it out on your own. Instead, Scott shows you step-by-step the exact techniques used by today's cutting-edge digital photographers, and best of all, he shows you flat-out exactly which settings to use, when to use them, and why. 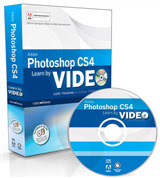 That's why the previous editions of this book are widely used as the official course study guide in photography courses at college and universities around the world, and this new edition for Photoshop CS3 exposes even more of the top pros' most closely-guarded secrets. 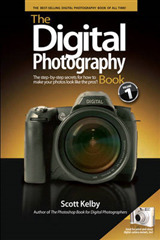 Learn How The Pros Do It Each year Scott trains thousands of professional photographers on how to use Photoshop, and almost without exception they have the same questions, the same problems, and the same challenges-and that's exactly what he covers in this book. You'll learn: * The sharpening techniques the pros really use. * The pros' tricks for fixing the most common digital photo problems fast! * How to get great looking prints that actually match your screen! * A whole chapter on the latest, most requested Photoshop special effects! * How to color correct any photo without breaking a sweat. * How to process Raw images, plus how to take advantage of all the new Camera Raw features in CS3! 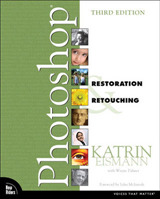 * The portrait retouching secrets only the pros know about! * How to add real automation to your work. * How to show your work like a pro! Plus a host of shortcuts, workarounds, and slick "insider" tricks to send your productivity through the roof! If you're a digital photographer, and you're ready to learn the "tricks of the trade"-the same ones that today's leading pros use to correct, edit, sharpen, retouch, and present their work-then you're holding the book that will do just that.